With the internet advancing so much year after year, web design is getting extremely popular. A great web design can impact a company site in a major way and can lead to huge success. Being that the internet includes search engines which have optimized website listing specifically for keyword searches, this will bring new clientele to existing businesses. The internet today is the number one most trust source of information and a market for companies to showcase their services through an online method. Having a great web design can secure your spot on the web! A great web design rules to follow, which includes great content, great design, nicely coding, browser and device compatibility. 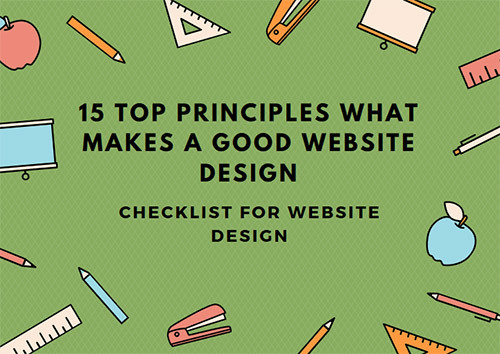 This are 15 most good web design principles when creating a web design from start to finish. It is important to follow these methods for creating a new site or you may use this as a checklist to see if you have done these things on your current website. By following these 15 ways, you will increase your web appearance, visitor stay time, and overall SEO rankings. Also it is important to give your audience a strong impact with your website so that they can become your website returning visitors. Your website is heart of your business. So always focus on the important pages such as contact us which is important for generating leads and capturing business opportunities. You must always keep an eye out for the newest web trends that hit the market. There is a, big change in web design every 2 years. This change is there because the internet changes, people advance, and web design must follow up with all of these advancements. Knowing the new web trends will not only keep your site up to date, but it will also ensure a better user experience. What are the newest design trends? How does well designed websites Looks? The one-page layout provides a new vertical way of web design. The one-page layout directs a visitor’s eyes from the top of the page to the bottom of the page. This layout’s menu moves within its own page vs directing to other URLs as the multi-page design would. The one-page layout only has a minor SEO problem. The pages that are included in the 1-page design (home, about, etc.) cannot be optimized separately, but the one-page design has been proven to provide a more valued user experience and mobile friendly design. This is the primary reason why the one-page web design is trending and will be in style for a long time to come. Also according to research landing pages convert more leads, compare to full websites. As this is not final statement but it can differ to as per your business. You check some best examples of one-page website here. The Parallax effect is used on the one-page web design as a remedy for its long scrolling. This effect provides a web visitor with a much sleeker top to bottom movement. A parallax effect has shown positive user response rates. Best parallax effect website example. Before a website loads the index page opens, a loading animation will appear. This was an old trend but recently has increased in popularity because it is being proven to be favored by web visitors. These loading effects will usually have dots, spinning effects, or a websites logo displayed in vibrant colors. UI Animations are the best types of designs that interact with web visitors and will increase visitor stay time and overall experience. UI Animations allow the web visitor to participate in the movement of the design, this alone makes a website even more advanced, memorable, fun, and interesting for a regular web visitor. This year is just the start of UI Animations popularity, this type of design will increase its user interaction effects with web visitors and grow even further in advancements. Video backgrounds provide a moment of live recorded action on the home page. Video backgrounds often ignore the above the fold rule, but they have great visitor reactions. Usually, video backgrounds show a company in work mode or a motion of scenery. Both of these common video types have proven to spark interest. Please note that video backgrounds may weigh a bit heavy on a website. If you have a video background, make sure that you have trimmed down the length of the video and have reduced the quality of the video. This is a great way to reduce the size of a web video background. The 3 bar menu that goes full screen once clicked is a great trend that provides a web visitor a more focused view of the menu. Adding a live chat and sending out a message to new web visitors is a new way of capturing website visitors live. A live chat provides a comfortable and easy to talk to area. It is a good idea to add a live chat to your website. Live chat also has better conversion then contacts form. As client found it easy to interact about the requirements and services in details. When designing the first draft layout of your site, always design in gray and white boxes. By doing this, you will quickly design your site and fill in the blanks at the end. Whenever you design a website mockup remember to wireframe the structure first and once you are happy with the wireframe such as navigation, banner, widgets etc. Then you can get creative graphic designer to take over the structure to good website design look and feel mockup. When you have finished designing your site, it’s time to sort out your markup. Clean markup increases website performance and is ultimately better for SEO. Your website should have very little to no errors on the site script. What is the best free tool for checking your markup? The W3C markup validator allows any person to check their website internal markup by URL, pasting, or uploading the code. The W3C validator will show you the exact location in line count where there is an error or warning spotted inside. This is a tool that is completely free and very useful. Those days are gone where people use to check websites only on their desktop or laptops. According to research 90% of website will be visited on mobile and tabs. So make sure when you design your website, it should be responsive to any devices such as apple, android etc. Mobile friendly website is ranked better in google search engine and it is the important factor of SEO now. Due to the increasing use of mobile devices, websites now must fit into a mobile friendly category. There are three ways that you can make your current layout mobile friendly. What are the 3 most important things that guarantee a mobile friendly design? A responsive layout will rescale for each device that the site is loaded on. Large font sizes are a remedy for mobile devices with small screen sizes. Large font size makes it much easier for the average web visitor to read a web pages’ text on their mobile device. It is common for websites that have increased font size for mobile devices, to take away the pinch zoom option on mobile devices as it is not needed anymore since the text is already large on the page. The menu is the only place where the user can go to navigate around the site. A websites menu must be in a locatable area and have a very simple design. If you have a menu that includes an effect, make sure that the effect does not complicate the menu items. After you have finished designing your site, testing out your markup, and making your site mobile friendly, there is just 1 more test to do. It is time to check your site for broken links. Make sure that all the links on every page of your site work on desktops and mobile devices. By ensuring that all the links on your web page work, your website SEO rank will be a bit higher and your site will be more reliable to web visitors. As expressed above, the internet is advancing and so should your web design. By using these 5 recommendations above, you will increase your web visibility, user experience, and website performance. About the author: Andy is a full time web designer at NTW Designs a full service web design company that specializes in design, brand research, and graphic design. We recommend everyone to design your website using WordPress as it is very easy to managed dynamic website without any coding knowledge required. You can also use DIVI theme from elegant themes, you can possibly design any complicated templates by just drag and drop elements. You don’t need be professional web designer to make website. Also WordPress is powered with thousands of free plugins to boost your functionality of your website. Please check what you need to do once you install WordPress. I really do accept all of the tips you may have presented for your post.. web designer They may be quite effective and can certainly work. Even so, your threads are extremely short firstly. May perhaps you want lengthen these folks somewhat coming from next occasion? Thanks for the article. You are absolutely right, web design trends do change. As in the past few years it is made mandatory for every website to have a responsive design that fits each and every screen. But honestly website design part is one of the hardest part of any website/blog (This is what I think). Because website is the first thing a visitor look at, and it should be good and as descriptive as possible. Hi Usman, I checked your blog and it looks awesome. Any website which are not responsive are penalized by google. Also we need to update our self everyday because lot of things are changing. We should also focus on digital marketing especially now a days. You website look good and very unique niche where competition is less. You are using basic genesis theme. So you can upgrade and get professional child themes from studiopress. You can also have great home page where you can monetize your services as well. Very useful post I guess, I’ve been into web designing since few months now and I think these tips are very beneficial to me. Thanks Sameer, You like the post. This are most updated tips for 2016 and useful for every web designer. Thanks for this tutorial. The design of a website is the first interface to make that ‘wow’ tagged first impression for our readers. And one thing that caught my thought is your statement that says the importance of studying recent trending designs. That is something out-of-box kind of information. But I am wondering if there is any other tools to help us in this by rather browsing those popular sites one by one. Thanks Sherab for dropping here. The best way to stay updated is to follow google trends.  Just check with the website design trends and it will show you all updates about website design trends. Absolutely loved the post dumaji and mrunal. As a web designer myself, I understand the value of following the trends and guidelines. Live chat is something I might have missed. So, I may need to rethink on that as well. Overall the tips are crafted beautifully that even a layman can understand. Great work. Thanks Nirmal. Yes every web designer have to follow the latest trends otherwise he will be out of work. The major changes from 90s and if you compare with 2016. Everyone has to go responsive website, so that it can be viewed on any device whether i could be mobile or tab or desktop. Quality content is the crucial to interest the visitors to pay a visit the site, that’s what this web page is providing.